Dan Kuschell wrote this note for Mother's Day, 2014. It is used here with his permission. 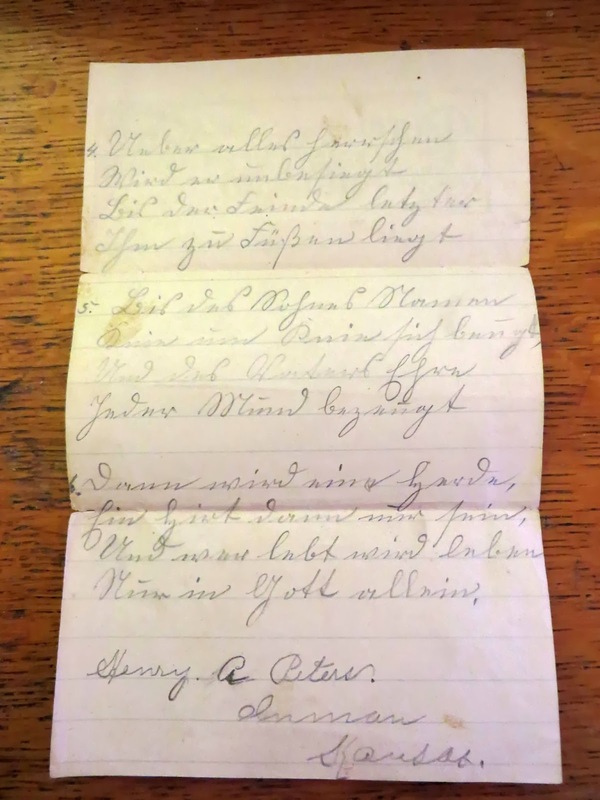 This letter by Henry A Peter of Inman, Kansas, is dated 1912. It is in German, and I don't know what it says. Maybe someone will be able to translate it. It was in a box of items bought at a sale a few years ago and passed on to me. 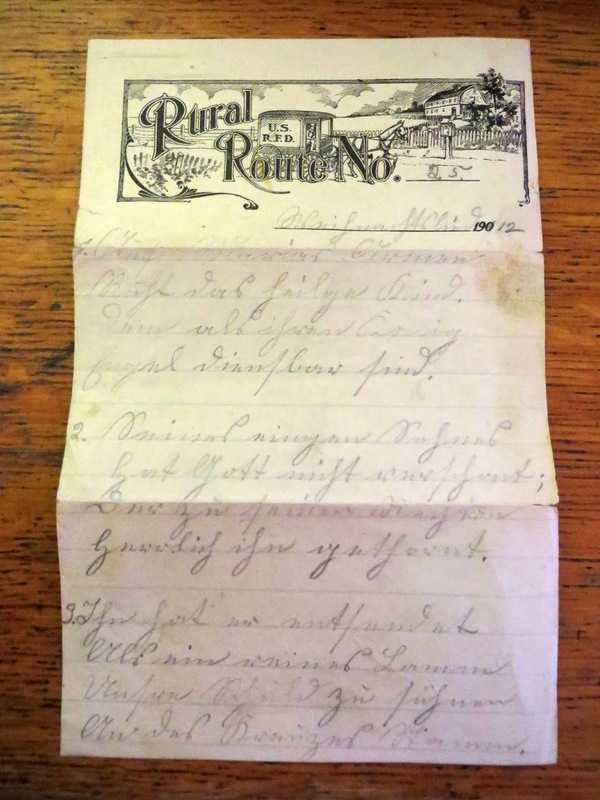 Many appear to be from this family and include some pre-printed items in German, as well as handwriting. Some Mennonite items are included.